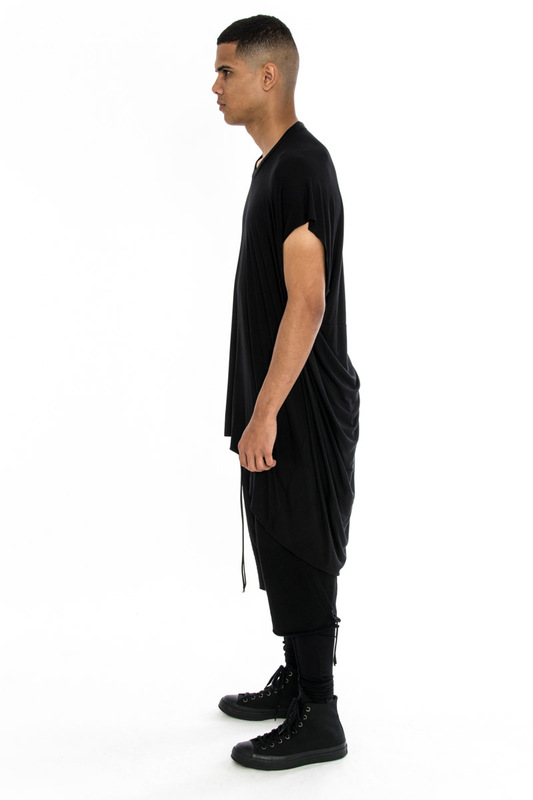 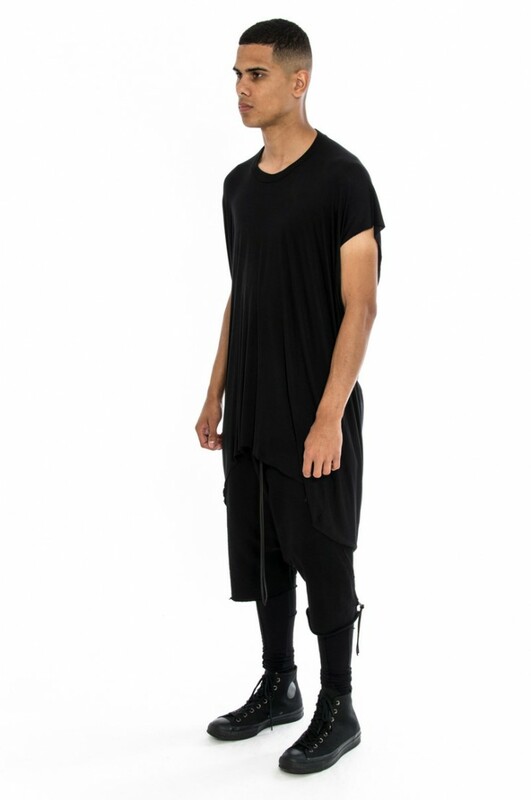 Oversized t-shirt made from high quality viscose jersey. 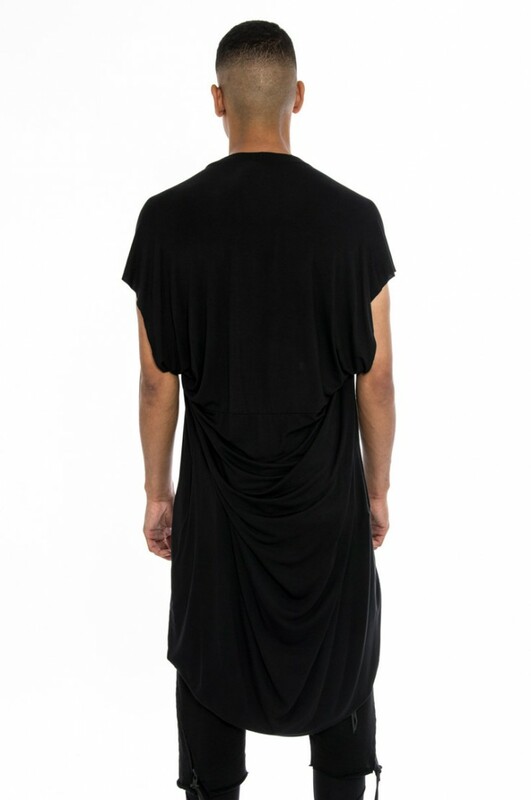 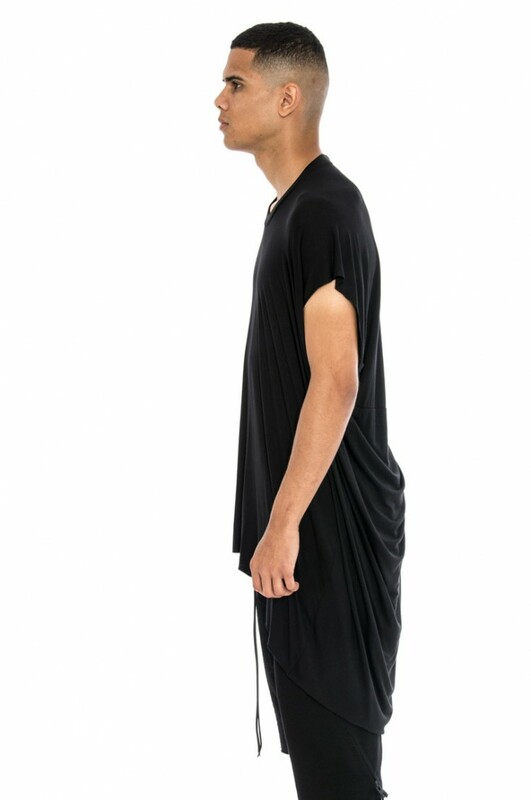 This t-shirt is a long loose fit with the neck opening situated at the from of the body to create a draped effect with an extended back panel. 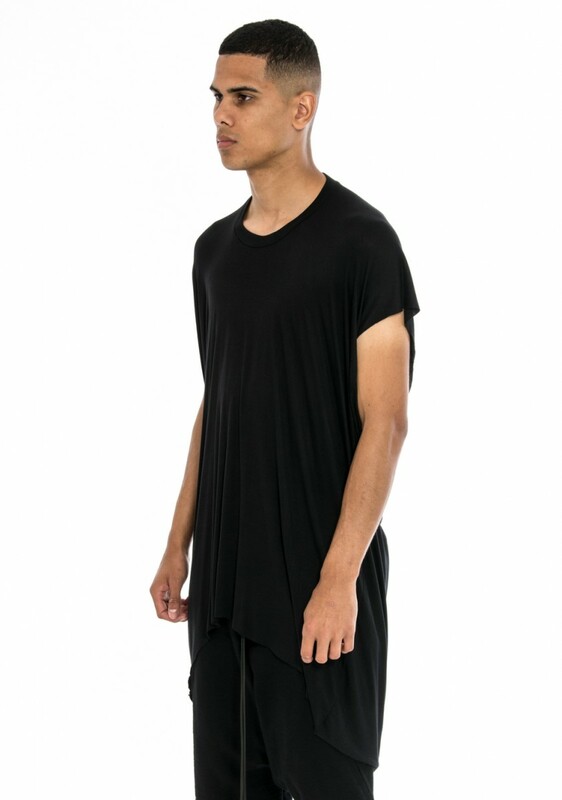 It is finished with ribbed neck and raw edged sleeve and hems. =.5 garments are made to order. 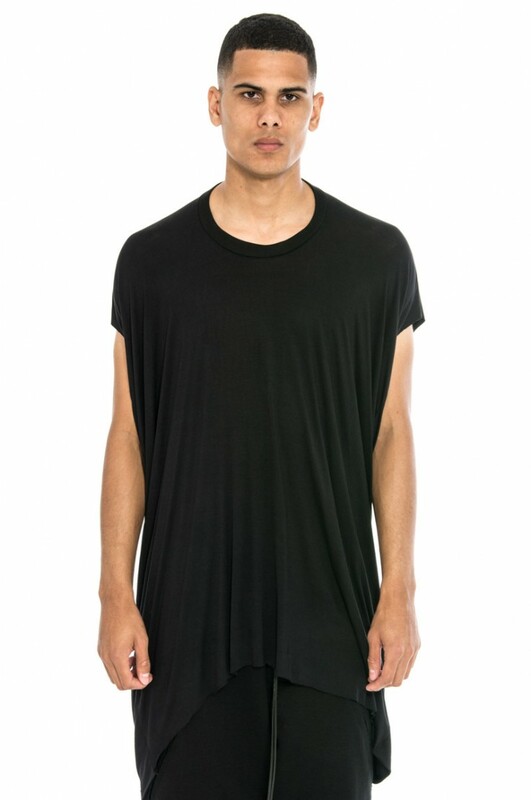 Please allow up to 5 working days to be shipped.